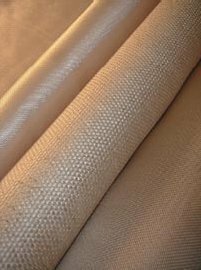 Vermiculite coated fiberglass products withstand 1500°F / 815°C continuous exposure and provides enhanced abrasion resistance. In addition to protection, fiberglass with vermiculite coating can also provide thermal insulation value, energy savings and personnel protection. temperature capability and added abrasion resistance. 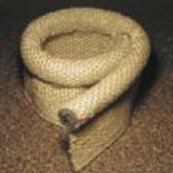 · Vermiculite coated products can be used for the same applications as plain Fiberglass materials, plus additional higher temperature applications. 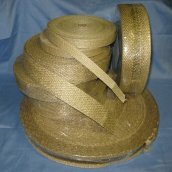 · Many items are suitable for hot work protection during welding operations. Fiberglass products with vermiculite coatings can provide energy savings and personnel protection. 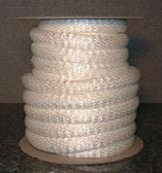 · Vermiculite coated fiberglass is used to protect wire, cable, hose, pipe and tube from high temperature, heat and flame. Also provides thermal insulation. · Tested and certified to meet ASTM E 162, ASTM E 662 and SMP 800C for surface flammability, smoke and toxic gas generation.